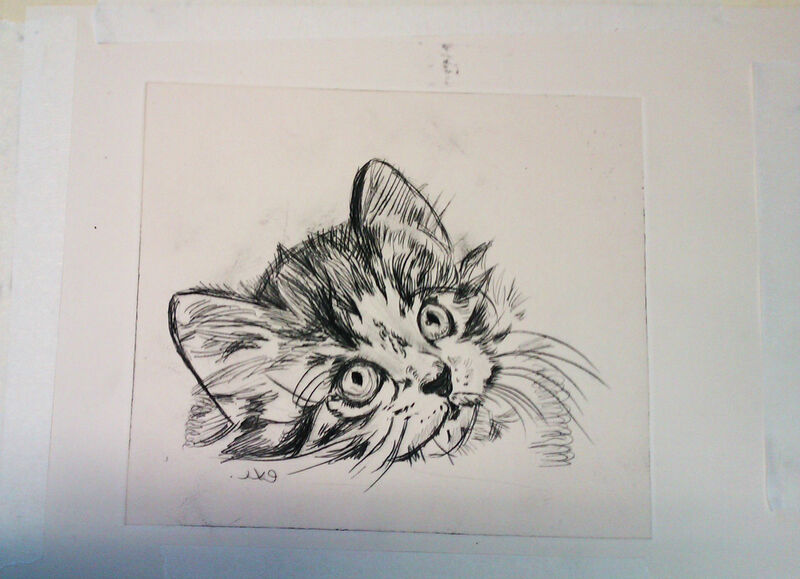 Here’s another dry point print, this time of my Cat Izzy when she was a kitten. 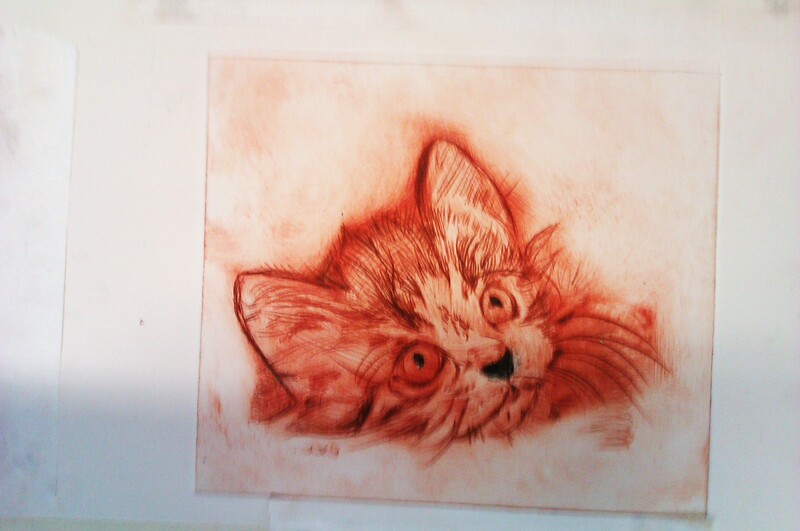 I have used red ink as well as black this time. 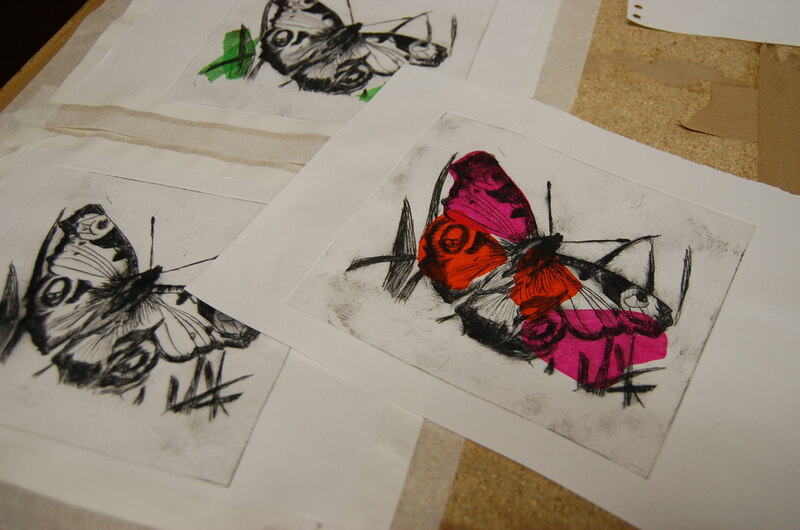 Firstly I did a black print, then I experimented a little with the red and black colours. 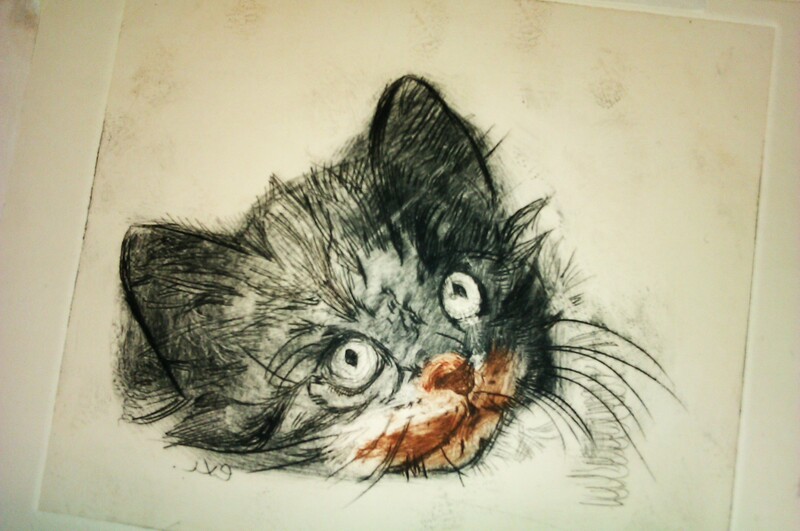 I have done Izzy as a ‘joker’ and one of her red with a black nose. 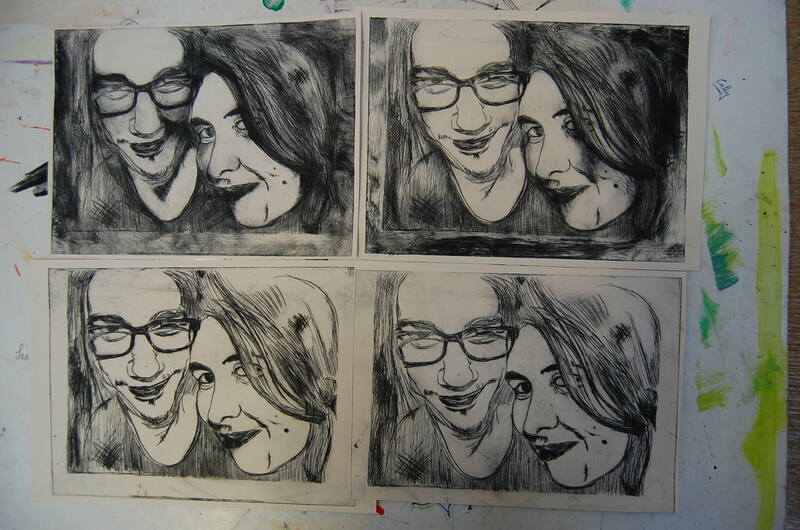 Apologies for the awful photographs, they are taken with my mobile phone! I just had to share them. 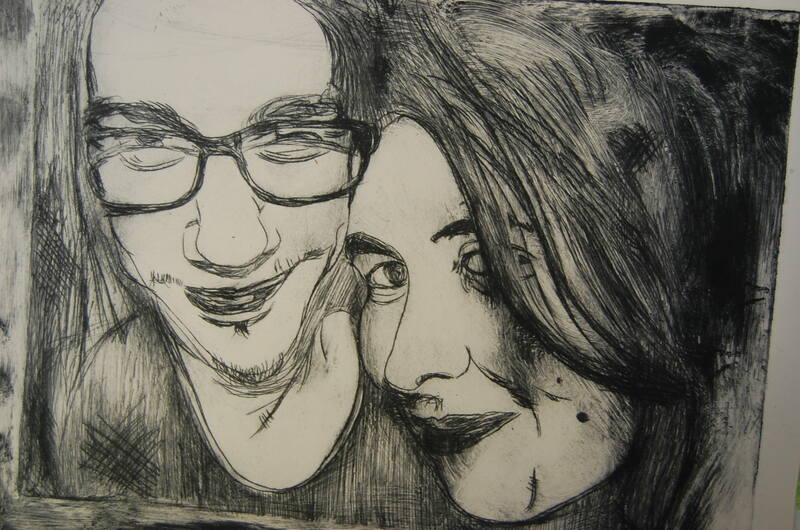 I am really enjoying the process of intaglio printing and I can’t wait to do more!